Almost exactly a year back I replaced the bearings in right rear wheel, but a couple of days ago I noticed some play in that wheel. I thought more play than there should be (i.e. none to a teensy amount). So I pulled the bearing housing and this time taking the driveshaft and CV joints with it. That meant CV joint to transaxle connection detached. I had a spare assembly, all greased up and ready to go, was from my old ’82 westy and still ok.
Got it installed ok, never really a fun job. Then I had a look at the one year old rebuild. I had the notion that maybe the bearings might be loose in the bearing housings, but no, they had to be driven out with some effort. 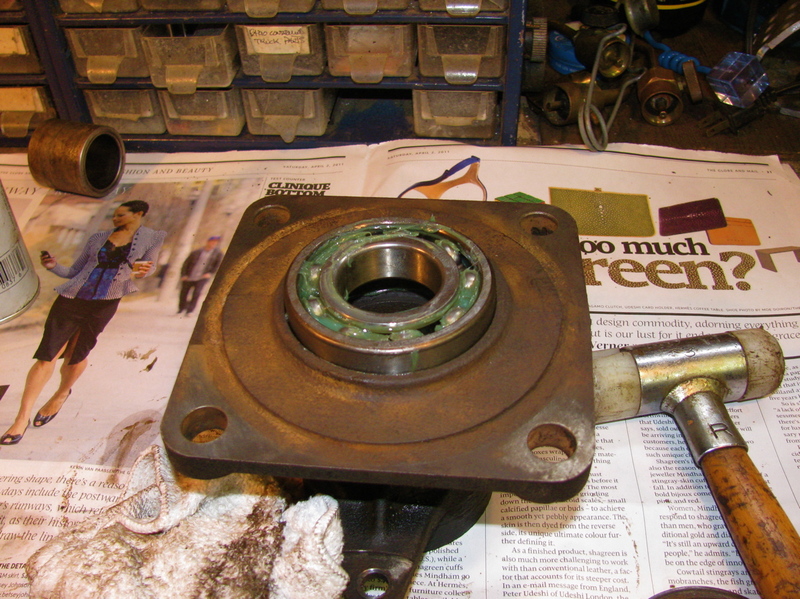 The outer bearing looked fine, but the inboard bearing looks discoloured. And it feels slightly rough when spun. So what’s the story? Did I not lube it enough during install? 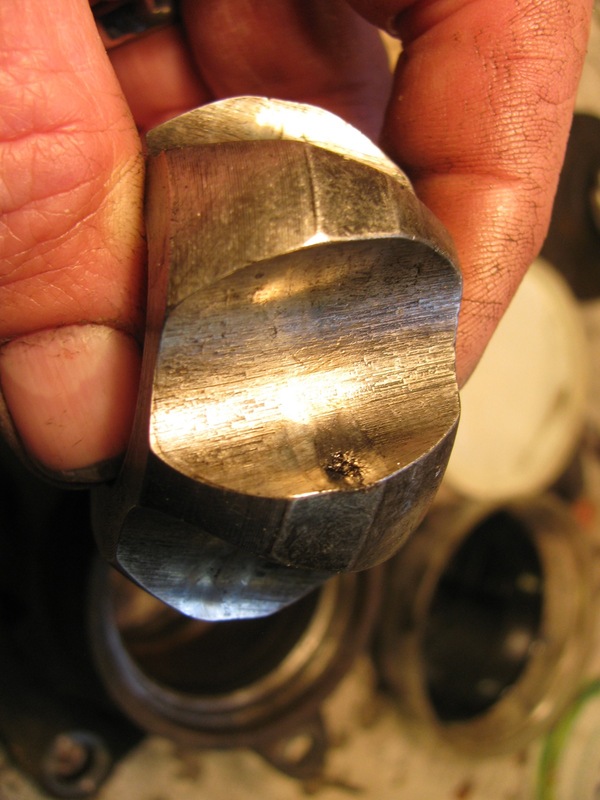 This picture from then looks like I did not put much grease into the bearing, but what you see is the stuff I had smooshed into the bearing, more lube was put on after the bearing was in place. Maybe I did screw up, wouldn’t be the first time. Update: looking at the bearing again, I’m not so sure it overheated. It looks more like corrosion on the outside of the outer race. Still puzzling. 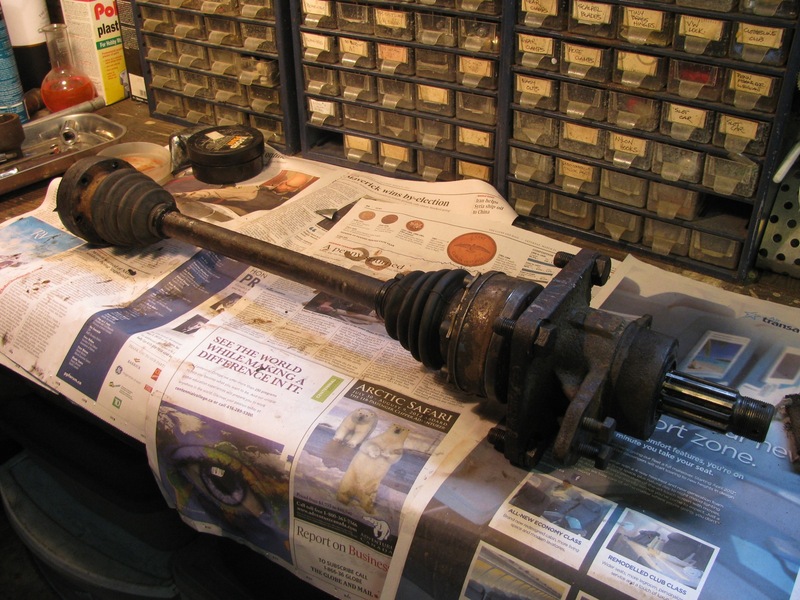 Addendum: I cleaned up the CV joints on the axle I removed and one joint is ok, the other is on its way out. I have to admit that I had not serviced the rear CVs since I bought this van a couple of years ago, it really should have been done. The grease was a bit dry on both joints, and one showed signs of impending failure (Ed. jeez, that sounds a bit over dramatic). 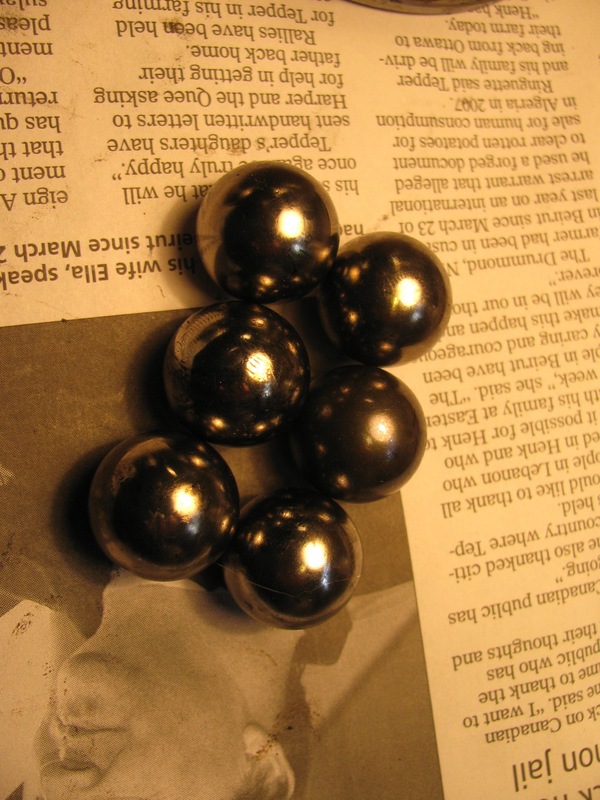 One of these balls is not like the other ones. Inner race, would this erosion spread? You kinda wonder if tri-annual repacking of CV joints is the way to go, or just replace them every seven years or so. It is a bit of a chore getting the axles off, and more of a chore cleaning and repacking. CV joints are about 90 bucks a piece here, I don’t know what is the best strategy. This entry was posted on April 18, 2012, 3:59 pm and is filed under syncro, vanagon. You can follow any responses to this entry through RSS 2.0. You can leave a response, or trackback from your own site. If a bearing were not fully seated all around and the outer race thus at an angle I could imagine it wearing faster than normal. Given that the race is seated in a bloody great heat sink I really don’t see how the outside of it is going to get smoking hot without it being worse on the inside. Couldn’t tell if the balls had gotten hot from the photo, the carrier covers them. I did see a lot of detritus on the ball carrier and bearing in general, so if you spun it like that I wouldn’t be surprised if it felt rough. But in general, since both races are attached to large lumps of metal, I’d expect to see the balls showing the worst heating effects. 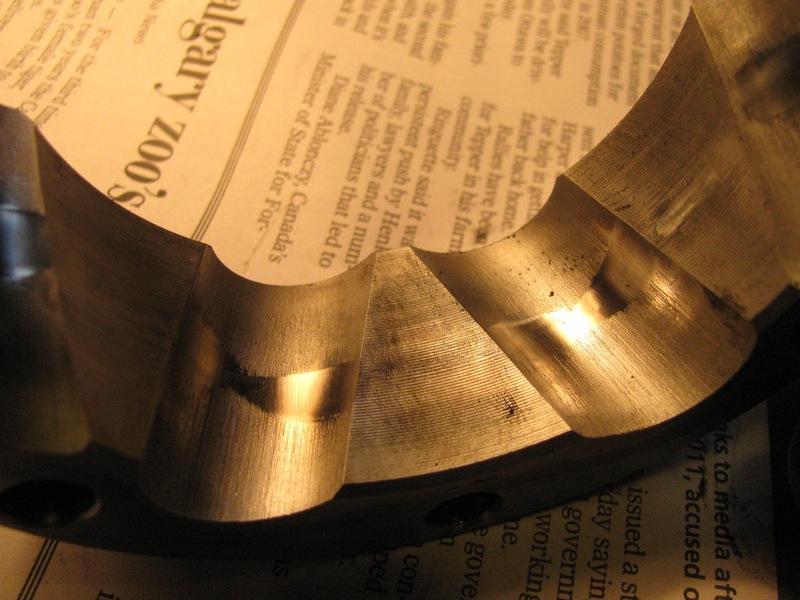 On the inner member of the CV joint – the metal has started to break down and it can only get worse from there. Agree about heat sink, I jumped to heat reflexively 🙂 No sign of discoloration on balls or inner race. Nor had the seal melted. I’m pretty positive I seated the bearing fully in housing. I think water got in there. Well that’s today’s theory anyway. Yeah, that cv joint is now relegated to being a spare for a spare. If the boots allow any water in at all, the CVJs soon pack up, sometimes within hours. To prolong their life, squeeze the boots from time to time, to move the grease into the joint, rattle the shafts for-and aft a bit too. The rears can last almost indefinitely, the front inners seem to be a bit more prone, and the front outers of course are an amazing joint, allowing all that articulation and steering lock yet lasting well too. NB. The boots are very special on those fronts, and also they should be stuck onto the joint at the large diameter end (VW works manual). There are at least two types of front outer joint and boot design. I was suspicious of the inner wheel bearing seal, cv boot and grease looked normal. 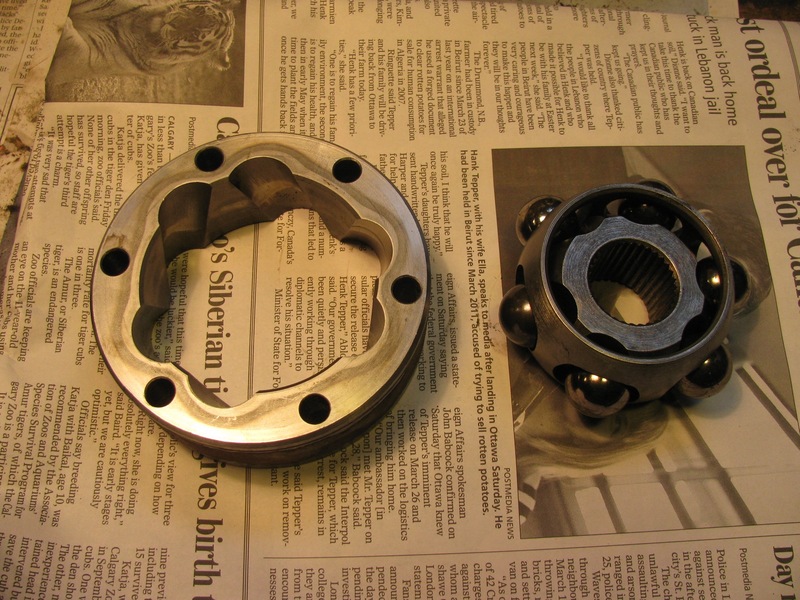 I’ve often wondered what the “extra” grease’s role in a bearing housing, or indeed the CV boot, actually is. I know some oil will leach out of grease, but other than that I don’t see how much that grease and inch or so away from the bearings actually is. Mind you, the flexing (and manual massaging :)) of the boot might move some grease to the bearings, but the bearings clear themselves of all but a tiny amount of grease in the races. I replaced a ripped outer cv boot last year. The replacement was NOT the same whitish plastic as the original (only source I had was the dealer, and that is what they had). The new boot did appear tough, but black, not pale. 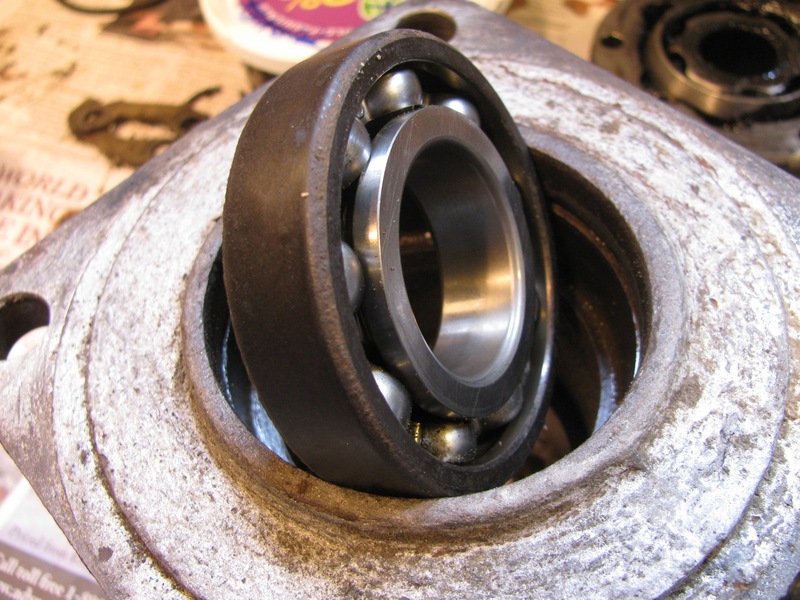 About the front wheel bearings, do they behave like 2wd Vanagon bearings in that they make noise when shot, noise that changes with steering input?